Brighton and Hove Albion are set to sign PSV Eindhoven midfielder Davy Pröpper, according to the football transfer rumours in Dutch Media (Football Oranje). The Netherlands international has joined PSV Eindhoven from Vitesse for a fee in the region of 4.5 million euros in July 2015. The 25-year-old has a valid contract with PSV Eindhoven until June 2020. 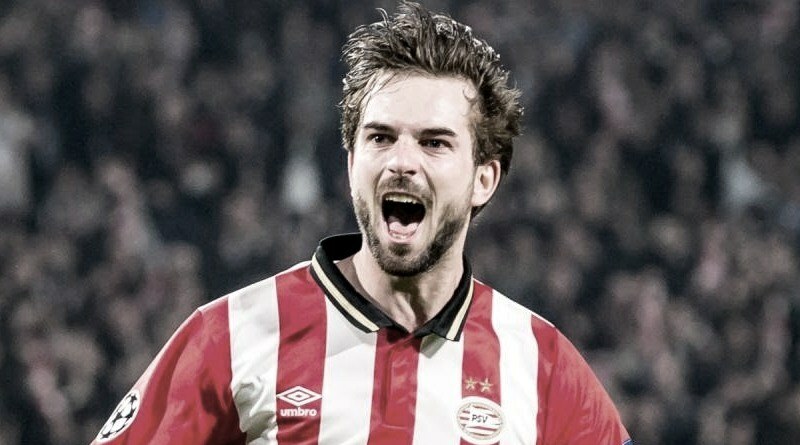 Since his arrival from Vitesse, Davy Pröpper has scored 22 goals and provided 20 assists in 89 games for PSV Eindhoven. The Netherlands international has been in fantastic form for PSV Eindhoven last season. Davy Pröpper has represented Netherlands at Under-18, Under-19, Under-20 and Under-21 level, winning 19 caps and scoring one goal, before making his senior international debut in July 2015. As a member of Netherlands national football team, Davy Pröpper has won five caps. Chris Hughton wants to sign a new midfielder this summer and Davy Pröpper is one of the names at the top of his wishlist. Davy Pröpper has been long term target of Chris Hughton as the manager look to bolster his midfield options for the next season. Brighton and Hove Albion are desperate to make an impact in this summer transfer window. According to the report in Dutch Media, the midfielder will be joining Brighton and Hove Albion, who have agreed a deal with PSV Eindhoven for a fee in the region of 15 million euros.